We trust various persons of authority to infrom us about material subject matters, but whom shall we trust in regard to transcendental subject matters and the transcendental world? We cannot experience transcendence with any of our material senses. How then, can we have an idea of that pure reality? We can see the body, but not the soul. How can we verify that there is a soul beyond matter? Though God is everywhere, we donâ€™t see Him. How then, can we determine who is God? Although it is evident that we cannot control the world, how can we trust that there is a God from whom this creation has come, and how can we be confident that it is He who controls it? Millions of people are born daily, and millions also die. Who controls this overwhelming tide of birth and death? Sea waves come on schedule, the sun appears on schedule, and new days come with continuous regularity. We do not control those rhythms, yet somehow, everything is maintained. This booklet contains seventeen previously unpublished letters written by Srila AC Bhaktivedanta Swami Prabhupada to Srila Narayana Maharaja during his first years in America. 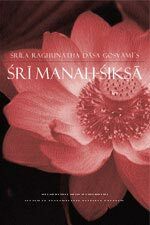 Sri Manah-siksa is a collection of eleven verses which offer instructions to the mind. In a very concise manner Srila Das Gosvami has surcharged these eleven verses with the teachings of Sri Gaurasundara, the prema-intoxicated embodiment of the combined forms of Sri Sri Radha-Krsna, His intimate associate Srila Svarup Damodara, and rasacarya Srila Rupa Gosvami. Included is the commentary of Srimad Bhaktivedanta Narayana Maharaja and the expanded purport of Srila Bhaktivinoda Thakura. 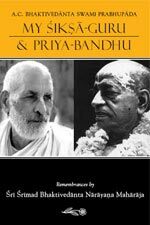 A deep and revealing account of the intimate relationship between Srila Bhaktivedanta Narayana Maharaja and his instructing spiritual master and dear friend, Srila A.C. Bhaktivedanta Swami Prabhupada, from 1947 up until final instructions given in 1977. 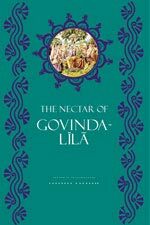 In this book our eternally merciful Gurudeva, Sri Sriman Bhaktivedanta Narayana Gosvami Maharaja, describes the numerous sacred places of Sri Navadvipa-dhama and introduces many of the holy places in the surrounding area of Sri Gauda-mandala (which includes Bangladesh). The enclosed map of Sri Gauda-mandala offers another dimension of involvement to the reader of this and other books about Sriman Mahaprabhu and His followers. The locations of many places were verifiable, but over time, some places have been forgotten or obscured by changes in landscape, and therefore are not easily located or available for darsana. Maps from the Navadvipa Dhama Parikrama book, hard edition, 7.5MB. “Offer your mind to Me; become My bhakta by hearing and chanting, etc. about My names, forms, qualities and pastimes; worship Me and offer obeisances to Me. In this way, you will certainly come to me. I promise you this because you are very dear to Me.” Also included are three discourses on Basanta Pancami, Nisanta-bhajana, Sriya Suka. Lectures by Srila Bhaktivedanta Narayana Maharaja on Ratha Yatra, or the Cart Festival of Lord Jagannatha. Nowadays some persons claim there are differences in the conclusions taught by Srila Bhaktivedanta Narayana Maharaja and Srila A.C. Bhaktivedanta Swami Prabhupada. These authoritative responses to many of the objections will help the reader understand things as they are, without any politically motivated interpretation. Observing the festival days outlined in the Vaisnava calendar is an important aspect of devotional practice. Srila Bhaktivedanta Narayana Maharaja always speaks on the appropriate topic on such days, whether it be the appearance or disappearance day of a prominent Vaisnava acarya , the appearance day of an incarnation of Bhagavan, or any other significant day. Of the eleven lectures included within this book, nine are lectures which Srila Maharaja has spoken on significant dates from the Vaisnava calendar. The word prabhanda means an essay and avali means a collection. We are confident that devotees will find this Sri Prabandhavali helpful to their sincere efforts to honour these important days. Srila Visvanatha Cakravarti Thakura, the highly exalted preceptor and crown jewel of Sri Gaudiya Vaisnava acaryas, has masterfully crafted this incomparable narrative poem in language that is simple, yet replete with deep meaning. Guru-sevā is the backbone of bhajana, or devotional absorption. Whoever wants to enter into the realm of bhajana must first dedicate his life to the service of a bona fide guru. Such a guru will never consider the disciple to be his or her own property. Rather, he will consider the disciple to belong to Śrī Caitanya Mahāprabhu and the Divine Couple, Śrī Rādhā-Kṛṣṇa. He will transfer the disciple’s attachment and dedication to Śrī Caitanya Mahāprabhu and Śrī Rādhā-Kṛṣṇa. Whoever reads this work, will obtain a clear conception of the subject of the guru in Gauḍīya Vaiṣṇava thought. For those eager to attain bhakti, this book is therefore a lighthouse that guides the aspirant to spiritual perfection. Without guru-sevā, no one can advance in Kṛṣṇa consciousness. Copyright ©2011 心靈瑜珈輔導及培訓中心有限公司 Bhakti Yoga Counseling and Training Centre. All Rights Reserved.